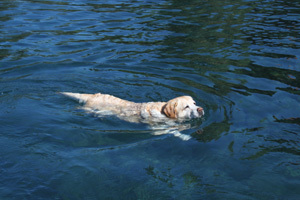 Yes, you can take your dog swimming at Lake Tahoe! 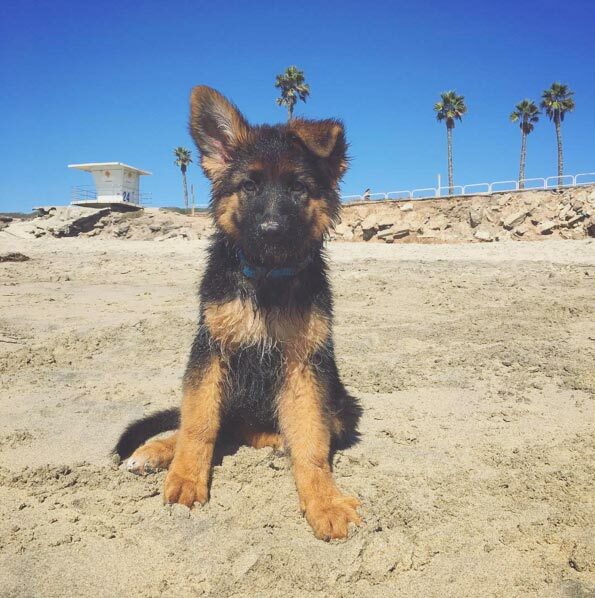 True, there are only a handful of dog-friendly beaches, but for most dogs, just one a day is enough. One of our hidden favorites on the West Shore is the private beach at Obexer’s General Store in Homewood. One of the most fun experiences to be had with your dog at Tahoe is lift-assisted hiking. Enclosed gondola cars on two lifts at Northstar and the aerial tram at Squaw Valley welcome leashed pets. Whichever you choose, you’ll find lots of trail options up top. For more fun on the water, join the animated crowds of summer vacationers who rent rafts in Tahoe City for a two- to three-hour, 5-mile float down the scenic Truckee River to River Ranch Resort. Truckee River Raft Co. counts dogs as regular passengers and will get you all fixed up. Dogs won't fit in just any kayak, and expecting them to balance like acrobats on a slippery bow is unrealistic if not dangerous. Tahoe City Kayak solves the problem with a line of Jackson Rec Kayaks whose cockpits are big enough to hold not just you, but Fido, too. One of the most enjoyable sights at Lake Tahoe, especially for first-timers, is Tallac Historic Site, a collection of late 19th century summer estate homes and outbuildings about seven miles west of South Lake Tahoe casinos. Leashed dogs are welcome, and it’s especially enjoyable to visit on living-history days. Put paws to the path on hundreds of miles of trails in the Lake Tahoe area. For something new, try Van Sickle Bi-State Park near South Shore casinos. The main trail in the 575-acre park (part in California, part in Nevada) travels beneath the Heavenly Gondola lift line to a cluster of historic buildings before zigzagging up for magnificent views of the lake. North Shore bound? Check out the Tahoe City Lakeside Trail, a mile-long promenade through town connecting the 19-mile West Shore/Truckee River and North Shore Trails. Dog-friendly lodging abounds at Lake Tahoe, and it comes in all forms, from vacation-home rentals to hotels and motels, to rustic cabin resorts and RV parks. A favorite is the dog-passionate Larkspur Hotel Truckee. Check out dozens of other options on DogTrekker.com. It can be hard to find a place to share an outdoor meal at wintertime Lake Tahoe, but summer/fall is another matter. View our listings, pick a dog-friendly patio and chow down. One of our favorites is Meyer’s Downtown Café in South Lake Tahoe. After a day filled with outdoor recreation, pamper your four-legged friend with a spa treatment or toys and treats at one of Tahoe's dog specialty shops. Squaw Valley USA festivals welcome well-behaved dogs on leash. The upcoming 7th Annual Peaks and Paws Festival includes a dog-friendly guided hike up the mountain, an array of specialty product pet vendors, live bluegrass music all day, as well as The Ultimate Flying Dog Show and demonstrations. Come enjoy the open air festival with your pup on this special day to benefit the Humane Society of Truckee-Tahoe!